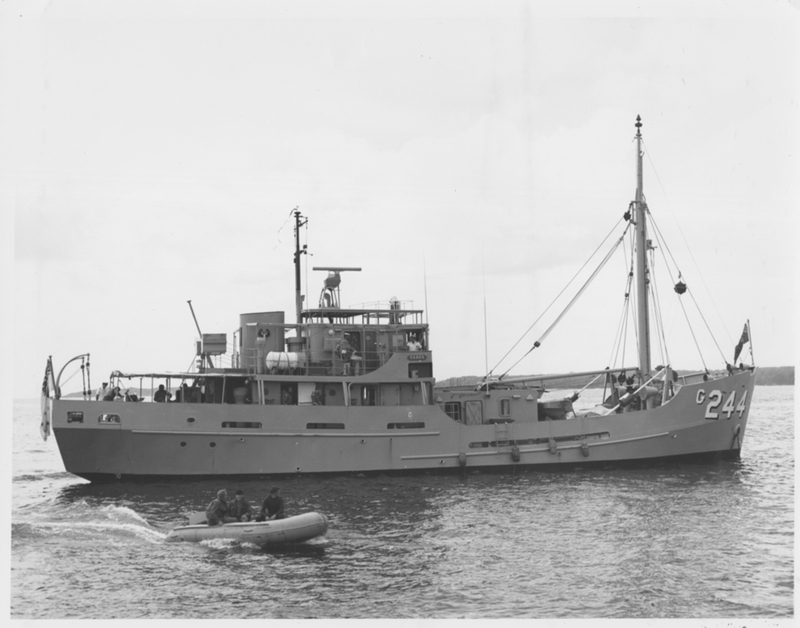 HMAS Banks was an Explorer-class general purpose vessel (GPV) built by the Walkers Yard, Maryborough, Queensland. She was launched on 15 December 1959 and commissioned in the Royal Australian Navy on 16 February 1960 under the command of Lieutenant MEH Earlam, RAN. She was named in honour of Sir Joseph Banks, the botanist who accompanied Captain James Cook on his voyage of discovery to Australia and the Pacific in 1770. 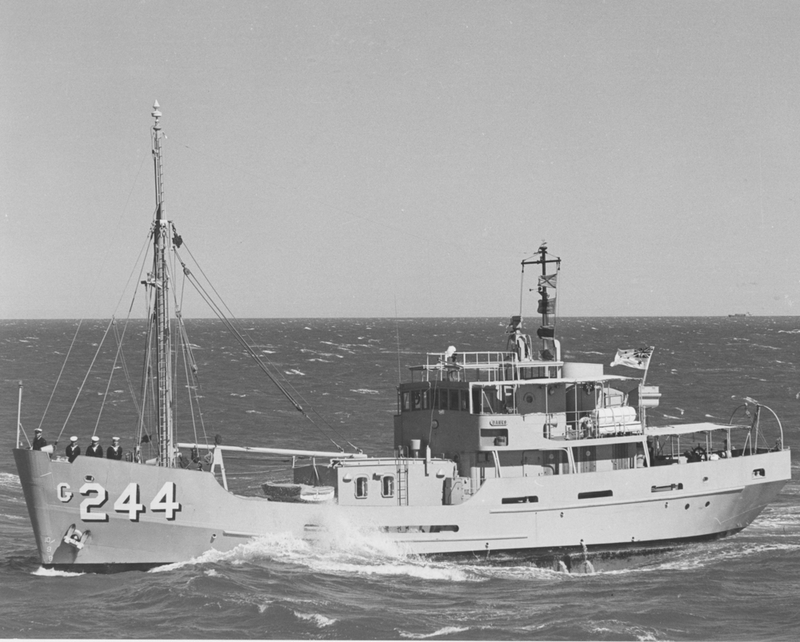 Banks was originally fitted out for survey duties and patrol work around Australia and New Guinea and one of her first tasks was to undertake a fishery surveillance patrol in northern Australian waters. In April 1961 Banks operated in the Darwin area carrying out hydrographic surveys of the Adelaide River. While under the command of Lieutenant AM Carwardine, RAN, she became the first seagoing ship in more than fifty years to make the fifty mile Adelaide River passage. Some months later Banks was selected as the host ship to Miss Tania Verstak (Miss Australia 1961) during her tour of Darwin Harbour. Soon after Banks deployed to Java and the Celebes to recover the remains of Allied servicemen on behalf of the Commonwealth War Graves Commission (CWGC). These remains were later reinterred in official CWGC cemeteries. During 1962 Banks visited Portuguese East Timor before returning to survey work in northern Australian waters. At the end of the year she steamed to Sydney where she underwent a major refit. In April 1963, under the command of Lieutenant P Mellish, RAN, Banks proceeded to Manus Island where she was based for general duties and in support of training members of the Papua New Guinea (PNG) Division of the RAN. During that time she was manned with mixed crews comprising two RAN officers and three sailors, the remainder being PNG personnel. She remained in New Guinea waters until 1966 operating variously around its coastline and visiting numerous ports and coast watching outposts. In December 1966 she arrived in Sydney for maintenance having steamed 98,631 miles since commissioning. In July 1967, under the command of Lieutenant EB Hopkins, RANR, Banks was reassigned to the Naval Officer in Charge South Australia as a Naval Reserve training ship and as a support craft for HMAS Encounter, the shore establishment and home to Naval Headquarters South Australia. The remainder of Banks’ service as a commissioned vessel in the RAN was in South Australia. HMAS Banks at anchor in South Australian waters. There, the small, all weather, ocean going ship served in a variety of training and support roles, including the laying of dummy mines and dan buoys, general seamanship, ship handling and exercising with Australian Army units requiring maritime support. Yearly cruises and exercises were part of the normal routine for Banks and her Royal Australian Naval Reserve (RANR) crews and she became a familiar sight in the waters of the Gulf of St Vincent and the Spencer Gulf. HMAS Banks ceased to be a commissioned ship of the RAN on 17 December 1982, but this was not the end of her sea going career as she was retained in service, performing a variety of general purpose tasks chiefly in waters in and around Jervis Bay. 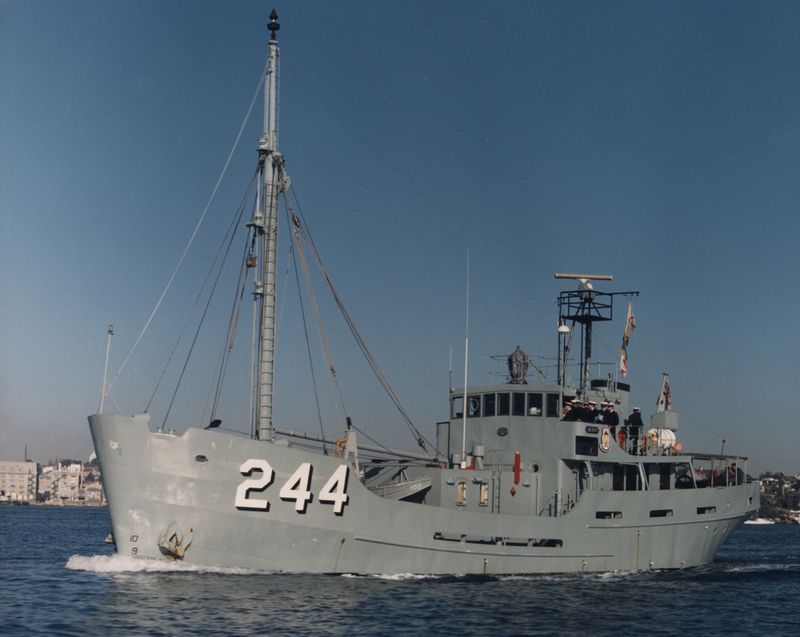 In 1985 GPV Banks was transferred to Sydney where she continued to operate from HMAS Waterhen. HMAS Banks departing Sydney for a training exercise. In 1995 GPV Banks left Sydney to undergo maintenance at Port Macquarie. The 10 month refit ended in disaster when the ship caught fire and was extensively damaged. Deemed by the RAN to be beyond economical repair Banks was subsequently put up for auction and was purchased by Mr Peter Smith, a retired fitter and turner. The vessel was gradually refitted and restored to her former glory and for many years was a popular attraction at Ulladulla, NSW. 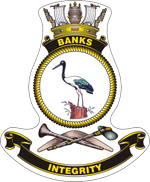 Banks was later on-sold and operated as a commercial vessel in the Airlie Beach region in Queensland for several years. In March 2017, during Cyclone Debbie, Banks was stranded at Cid Harbour in the Whitsunday Island Group. The vessel was salvaged by Coral Coast Oceaneering in July 2018 and towed to Townsville for scrapping.